Home » Equipment » Cake Spot Light » Cake Spot Lights – Make that cake stand out! Put some light on your cake! 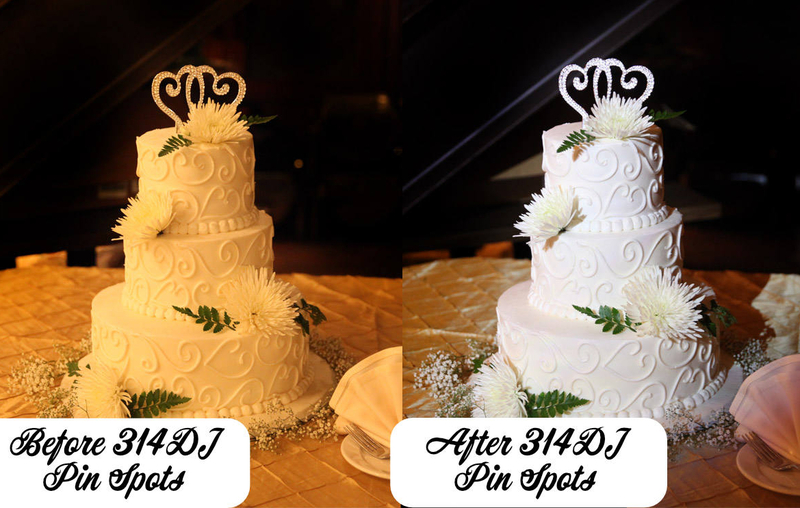 Cake Spot Lights – Make that cake stand out! Put some light on your cake! A spotlight on your cake is a great way to show off and feature the edible artwork created specifically for your event. Your cake is a significant investment, it’s a really good idea to make sure that your guests are able to enjoy this edible piece of artwork throughout the entire evening. When spotlighting the cake it’s important to make sure that guests can see all the features and intricacies that you and your cake maker designed. 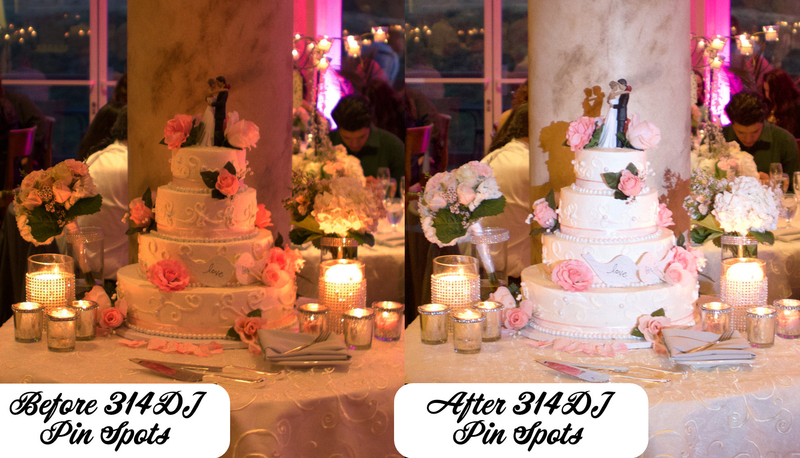 Oftentimes the entire reception space is too dark and no one will be able to see the detail of your cake or the special features unless it’s highlighted with cake spotlights. 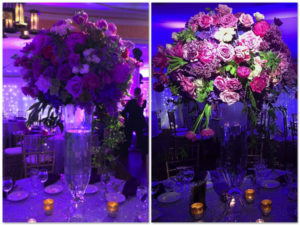 We use specially designed lighting fixtures for a very focused, soft, light on the cake that illuminates all of the detail and work of the cake. 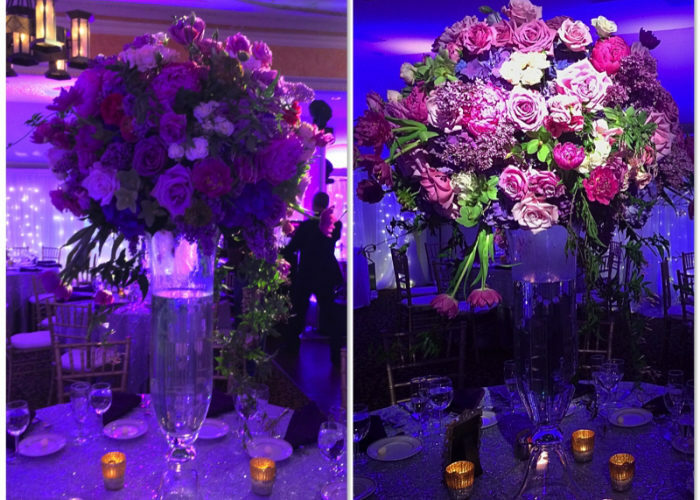 Our lights can be adjusted in a way to complement a cake. Warm White, Cool White, and color options available. A cake for any occasion is just a cake; where a wedding cake or a Sweet 16 cake with a spotlight on it is a commissioned picture worthy piece of artwork that only lasts for a short amount of time and is often a significant part of any wedding/party budget, making sure it’s visible is important. 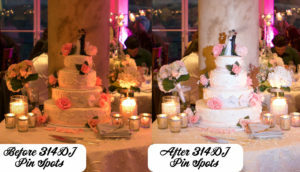 E-Mail to book your DJ & Lighting with 314DJ!